← R250 for a GoPro mount for spearguns! Contact Eckart Benkenstein via facebook to get yours. 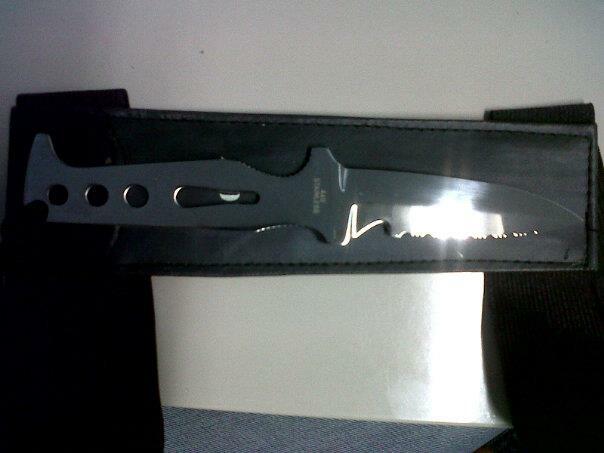 Spearfishing dive knife for R110! *Tip: If there is a rust build up on them, use some Bicarb to get rid of it then Silicone spray it. Sweet knife! I only wish it had a little more of a grip i could see that making my hand tired. lol, depends on the amount of fish you need to brain spike in a single dive but you may be right. I love my knife will post a pic soon. Another tip for avoiding rust is to adequately oil the blade now and then, it should help quite a bit. Looks like a really nice knife. I’ll have to check out the currency conversion to see what that would cost me. Could anyone point me in the direction of a diver that I could tag along with here in Cape Town to see what spear fishing is about and to learn. Perfect. I can not get on to facebook at work, but will check it out at home.